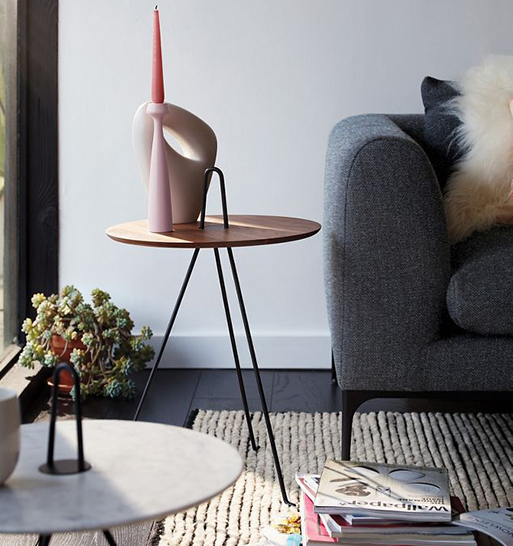 This little table does double duty; the integrated handle lets you move it easily from room to room while the wood or marble top lifts off the recycled steel base for use as a tray. Handy, right? There’s both a high and low height, so you can pair them together for a varied arrangement when it suits. Choose between oak, walnut, or Carrara marble for the top. 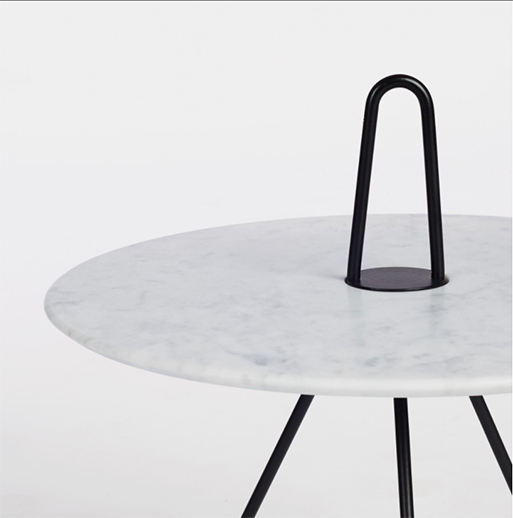 Materials: Oak, walnut or Carrara marble top; powder-coated recycled steel base. 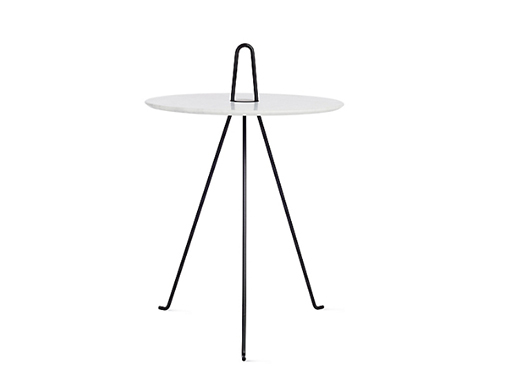 Available from DWR, $320.00 - 620.00.